HOPING to see a love and passion for mathematics flowering in the minds of young people, a Croydon resident has devised an amazing new game and written a book to support it, ‘Mathematical Chess’. 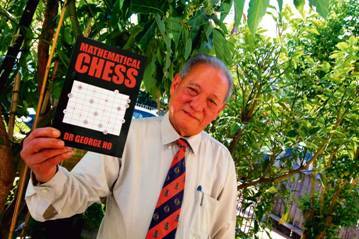 “Mathematical Chess is a two-player game that’s educational and entertaining,” Dr Ho said. “It’s played on 10 digit pieces and six operator pieces (addition, subtraction, multiplication, division, power and root). “When I came to Australia, I also noticed students were well behind their Asian counterparts in mathematics.